The MJD Warriors hammered Pacific Postal Plus, 73-52, in the 2018 Emon Lodge No. 179 Brotherhood/IT&E Basketball League last Sunday at the Koblerville Gymnasium. The Warriors relied on the momentum they built in the second quarter to set up the easy win. MJD was on top by only 6 after the first period, 15-9, when it started pulling away in the second behind the 9 points of Alex Ocampo. Ben Lisua added 5 markers to lift MJD to a 37-22 halftime lead. After the break, Jonathan Brocano and Gener Pineda stepped up for Pacific Postal to help cut the deficit to single digit, 40-49. 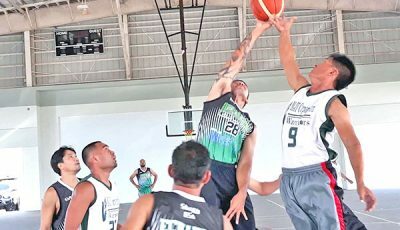 Brocano did his damage in the paint and scored 8 points, while Pineda nailed two 3-pointers in a bid to bring Pacific Postal back in the game. 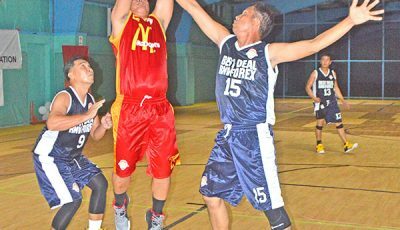 However, Pacific Postal failed to complete the comeback in the fourth quarter, as MJD regained its shooting touch and scored 20-plus points to cruise to victory. In the first game last weekend, Cellular Pro got off to a good start en route to downing Armatech. Cell Pro’s snipers found their targets early, as Gio Dancel, Jun Santos, and Sonny Ebuen combined for four treys. 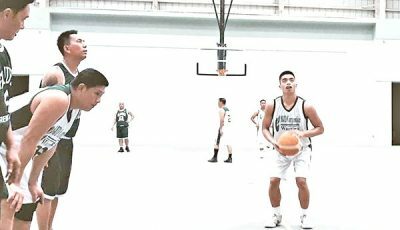 Ebuen posted 7 points, Santos sunk two triples, and Dancel chipped in 5 to give Cell Pro a 20-11 lead at the end of the first quarter. Although Armatech came within striking distance in the last three periods, Cell Pro hung on for the 4-point win. Islander Rent-A-Car came from behind to upend Pacific Engineering Groups & Services. 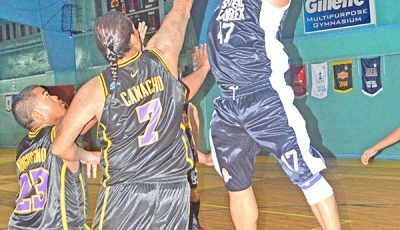 After facing a 54-62 deficit when the third quarter wrapped up, Islander Rent-A-Car fired 25 points in the final canto to steal the win. 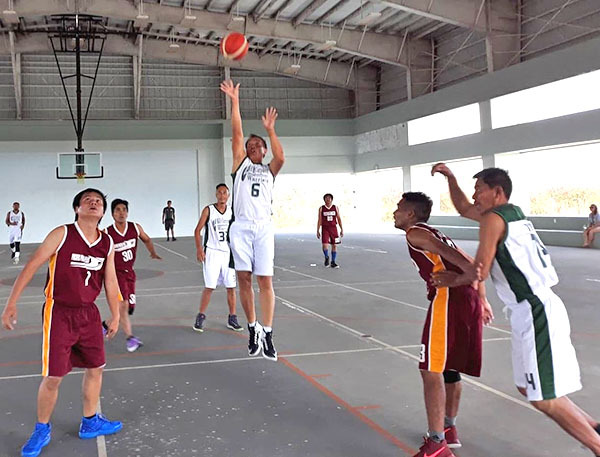 Elgen Mangali scored all his 9 points in the final canto from the parking lot, while Ed Pangelinan and Jet Jandoc tallied 4 markers apiece in the Islanders’ successful comeback bid. Mangali finished with 22 points, while Rocyl Ritual added 21, and Jandoc registered 17. 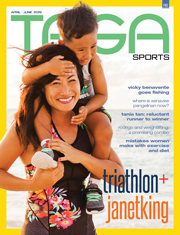 Jack Lizama paced PEGS with his 25 markers, while Ron Gamboa contributed 24. MJD 73—Aranda 14, Tabora 10, Ocampo 9, Ja. 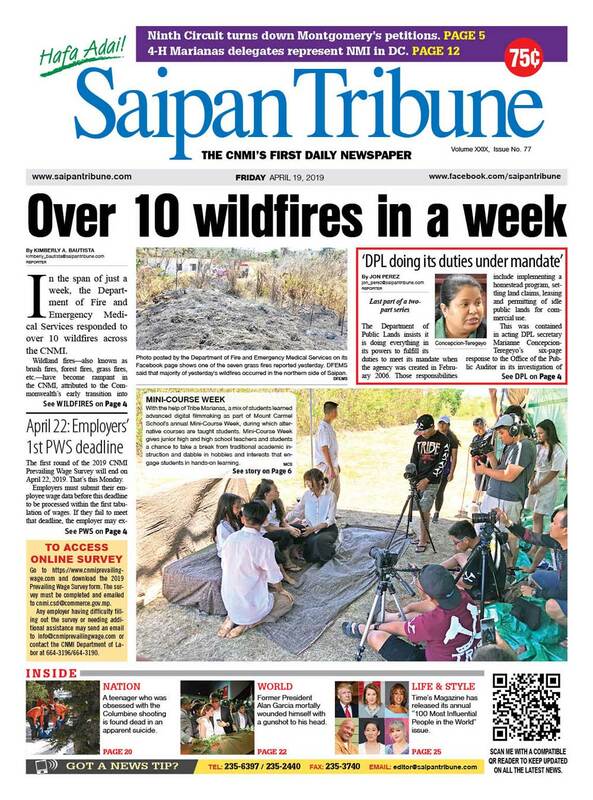 De Guzman 7, Lisua 7, Bisana 6, Jo. De Guzman 6, Mungcal 6, Dela Cruz 4, Usi 4. PPP 52—Odicta 16, G. Pineda 16, Brocano 8, J. Pineda 6, Usi 6. Scoring by quarters: 15-9, 37-22, 49-40, 73-52.